Ready for another taste of Celestial hijinx? We are, or we wouldn’t even be here. As usual, our super staff has scoured the solar system hoping to find the best prognostications for you. But, the charts are what they are. We can’t change your fate. So be forewarned and be careful. Taurus… Pluto is in its third house looking for Snoopy. This week you will encounter something hectic, a stinging antiseptic and something eclectic. Gemini… Mars is on the cusp of Gemini now. You will soon take part in a wrestling match. You will be pinned by a piñata or Dennis Miller. Cancer… Venus is descending at the moment and has become depressed over it. Stay away from all grains this week. They are out to make your life miserable. Leo… Saturn is square with Leo now, but wants to borrow a few dollars for a date. Your enemies are planning to test your aerodynamic abilities in a wind tunnel. Virgo… The Sun is on the cusp of Virgo now and Virgo is getting hotter. You will soon be belittled for sucking a binky when riding a bike, while wearing a bikini. Libra… Neptune is rising at the moment and is ready for another day. You will soon be eclectic with some things electric. Scorpio… The Earth is mellowing out now. Your enemies are planning to use your hippocampus for illegal activities. 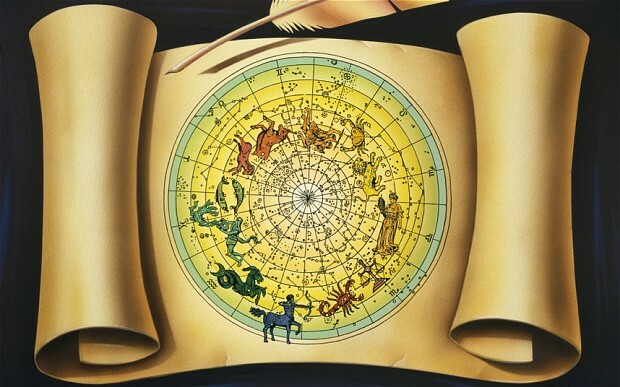 Sagittarius… Venus is in opposition to Sagittarius at this time. You will write a bestseller called, “How to Mend A Broken Heart Using Crazy Glue”. Capricorn… Uranus is descending and is trine with Capricorn now. Soon your only excuse in life will be, “Next time, I’ll try to do it right”. Aquarius… Mars is square with Aquarius at this time. Your reputation will become tarnished. You will polish it, but a hail storm will destroy the finish. Pisces… Mercury is on the cusp of Pisces at the moment. You will write a bestseller called, “Cooking With Conundrums”. Thanks for writing. I do a weekly Horror-Scope. It’s been around for a couple of years now. Best of everything to you. Thanks Ron, have a good week as well! Thanks for the comment. There are a few others who will find things rather difficult this week (Scorpios, Aquarius). Glad to see you read more than your own prediction. Most people stop at theirs. Have a good week.